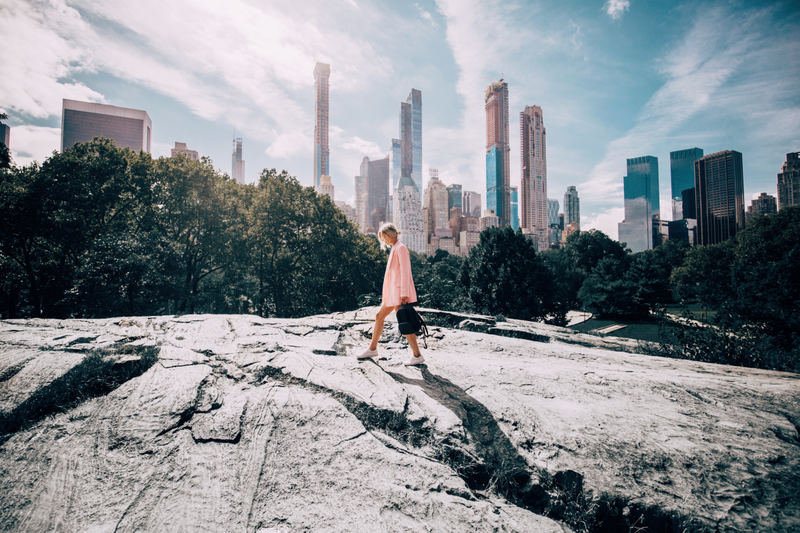 I spent the end of my September exploring around New York with Grete. As she lives there now, it's the coooolest thing to go and visit her. I remember clearly us sitting at my place in Pärnu trying to figure out what we should become when we ''get older''. Never ever would have I thought she'll get married to a guy from New York. Life can go in such unexpected ways! So the other day we were strolling around Central Park. It was mostly rainy the first half of the day and we were kind of just exploring ''Home Alone'' spots, haha. By the time we got to this amazing view, the sun came out and the photos turned out magical! Love these!